When it comes to running a successful business, a lot of time and effort goes into planning and preparation. As businesses start to grow and expand, they start to need more storage space. 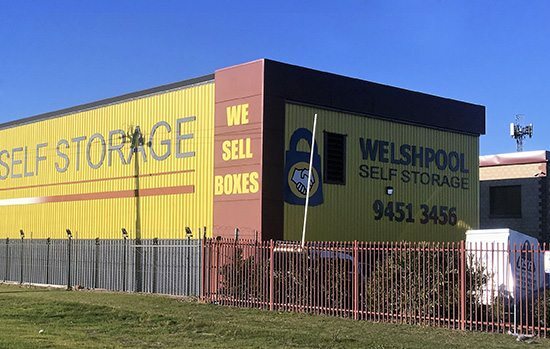 If your business is running out of storage space, it’s time to take advantage of Self Storage in Welshpool from Welshpool Self Storage. There are a wealth of benefits that can come to your business from using a storage unit. No matter what your business specialises in, there’s probably going to be items you only sell at certain times of the year. Rather than take up too much floor space inside your business, you can move these items into Self Storage in Welshpool. Welshpool Self Storage is a secure facility, so there’s no need to worry about the safety of your goods. If your business is a clothing retailer, you probably sell certain items in a variety of sizes and colours. There will always be some colours and sizes that are more popular than others. If you want to purchase more of these popular items, you can store the excess in Self Storage in Welshpool. You can also use your storage unit to store the less popular items if they’re simply not selling. Using a storage unit this way can free up a lot of much-needed space in your storefront. Your business probably runs several different promotions throughout the year. Each promotion probably has its own materials and props, and these can be stored in Self Storage in Welshpool once the sale period has ended. With the extra storage space available when you have access to a storage unit, you can purchase more stock in bulk. This can help you save money by allowing you to capitalise on the best deals possible. Stock and inventory isn’t the only thing businesses need to store. You also need adequate space to store things like cleaning and maintenance supplies, as well as paperwork and old files. These items can be stored in Self Storage in Welshpool to save space inside your storefront or office. If you’re ready to book your storage unit, contact the staff at Welshpool Self Storage today to learn more about your options.